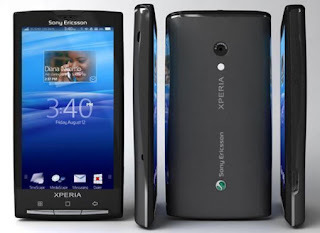 Sony Ericsson Xperia X10 Android Smart phone Price in India Rs.21,500. Sony Ericsson's Latest Android Smartphone Is Sony Ericsson Xperia X10. It has 119 X 63 X 13 mm Dimensions, 135g Weight, 4 Inch Capacitive Touchscreen With the Resolutions of 480 X 854 Pixels, 8MP Camera, Camera Resolutions 3264 X 2448 Pixels, with LED Flash, v2.3 Android OS, Internal Memory 1GB, External Memory 32GB.